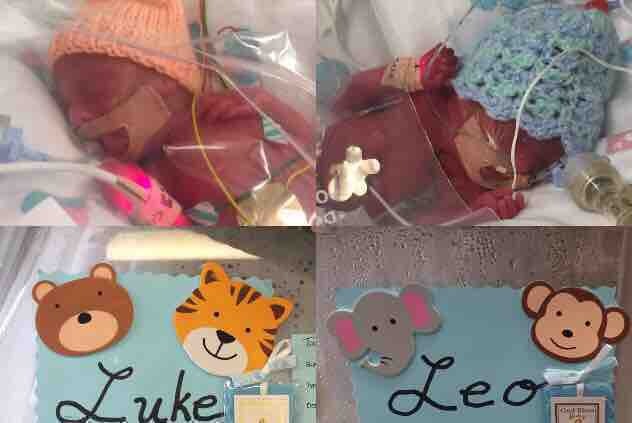 Our names are Ger & Sinead, on July 23rd 2018 our boys Luke & Leo Grehan were born prematurely at 23 weeks and 2 days. The brilliant staff at the Rotunda Hospital in Dublin, Ireland did everything they could to help and Luke & Leo fought so hard but sadly we lost them both 7 days later on July 30th. If it wasn’t for the amazing Consultants, Doctors, Nurses and Midwives of The Rotunda we probably never would have got to meet our boys at all. They gave us the opportunity to be parents for a week and we’re forever grateful. Seeing first hand what the staff in the NICU (Neonatal Intensive Care Unit) go through on a daily basis was something we, or any parents for that matter never want to experience, it’s something we’ll never forget. The work they do is exceptional and they really couldn’t do enough to help you through possibly the toughest time of your life. Charity Football Match Saturday Dec 15th 2018. We’ve decided to organise a Charity football match to raise some funds and give something back to the NICU for their outstanding work. Hopefully the funds could go towards a new incubator or other much needed equipment or supplies. The match will be played on the morning of December 15th at Bohemian FC’s ground Dalymount Park in Phibsborough, kick off is 11am and entry is FREE. Funds raised from this page will go along with the funds the players are raising with sponsorship cards for the match. Please come along and join us for a family day out at this truly memorable match for Luke & Leo with some key players taking part. Full event details are on our Facebook Page Event.